The Christmas holiday is a time of giving those you care for and about a gift or two. You may decide on socks or perhaps a delicious and luxurious box of chocolates. But whichever of the many gifts you decide to give this Christmas, one thing is for sure; you will be sure to make your customers and contacts feel like a million dollars when you said out this beautiful and ornate choice from our selection of holiday ecards for business. 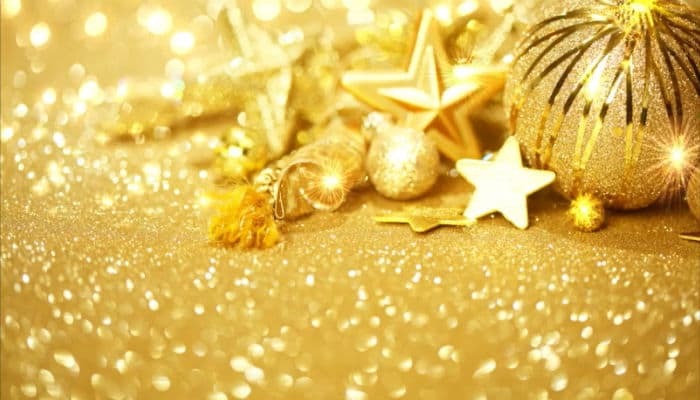 Holiday Miracles is a beautiful take on the standard Christmas decoration themed ecards featuring some decorative and dramatic all gold decorations on an even more precious golden glitter background. But aside from the wonderful design of this ecard what else can it offer you? As we recognise corporate greetings cards as a marketing tool as well as a method to send the best of the season to those who support you through the rest of the year, we have tailored our process to allow you to make the most of this communication method. Our ecards, Holiday Miracles included are customisable and as well as deciding which text you want to include you can also place your own company logo on the card too, making sure that you not only make a great impression but also a lasting one too with our Christmas ecards for business.